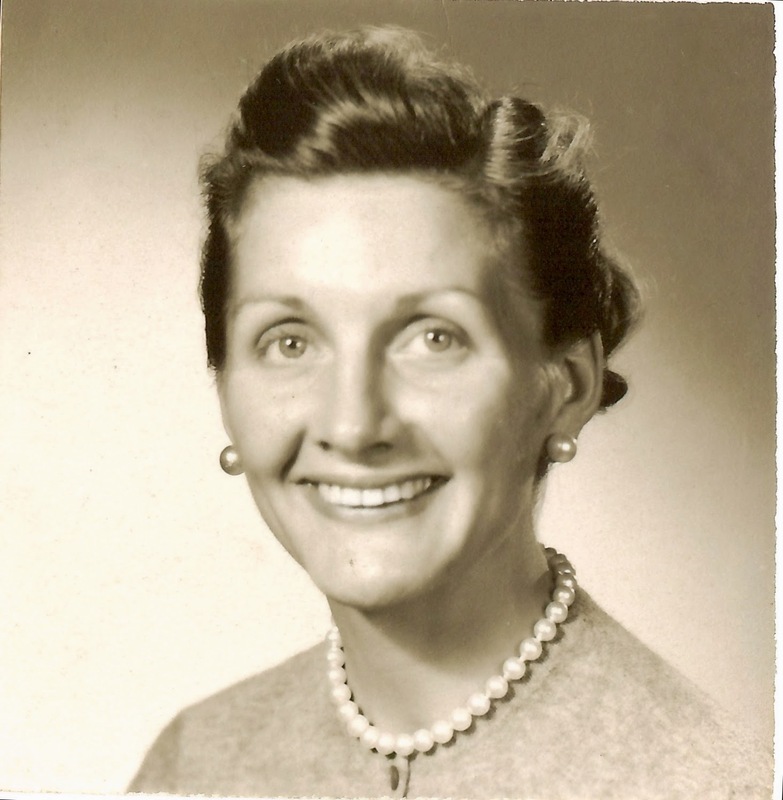 Benita Jane McCormick, known as “Jane,” circa 1960. As happens eventually to parents everywhere, Phil and Benita McCormick must have wondered how they could have just blinked one day and looked up to find their son and daughter all grown up: living independently, working, falling in love, and starting families of their own. Their son, Bud, married a local beauty queen named Ruth Kant sometime in the 1950s. Bud and Ruth had a daughter, but their marriage was short-lived. Some time after their divorce, Bud fell in love again, this time with a young woman named Barbara Bowman. They married, had five sons, and established a home in the Chicago suburbs. Jane went away to university in New Mexico to major in English and worked during her summer vacations as a “Harvey Girl” at the Fred Harvey Bright Angel Lodge at Grand Canyon, Arizona. After a few years, she was offered a job as a reservations agent for Trans World Airlines (TWA) in California. She worked for the airline in Fresno for a short time before transferring as a ticket agent to San Francisco International Airport, where she met a handsome and charming Norwegian-American TWA freight agent, Eldon “Ole” Olson. This menu cover from Bright Angel Lodge at Grand Canyon, Arizona, hung in Jane (McCormick) Olson’s kitchen for many years, a fond memory from her days there as a Harvey Girl. Meanwhile, by 1959, Phil, who had retired some years before, and Benita were feeling lonesome for their daughter. They sold their home in Chicago and moved to California, renting an apartment at The Arlington at 1401 Floribunda Avenue in Burlingame, near the airport. It was a big move for a couple entering their 70s, but they were thrilled to be closer to Jane and looked forward to seeing her often. a jet on one of her many travels. 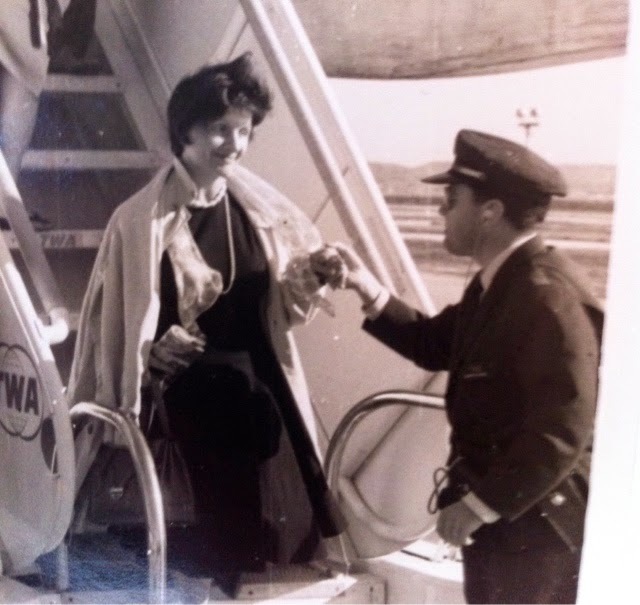 At 32 years old, she was having the time of her life, working for a major international airline during the Golden Age of air travel. It was the same way Phil had felt during early days with the railroad in the 1920s. In 1960, most airports were new and clean, bright places that attracted not only business and leisure travelers but also the curious who came to see what all the fuss was about. And there sure was a lot of fuss. Large concourses displayed artistic tourism posters beckoning people to see new places. Passenger lounges offered travelers and would-be travelers enormous windows to gaze through at sleek and silvery jet airplanes that promised to take them in style to see their families, or maybe even to an exotic vacation abroad, much quicker than by rail or boat. Airline employees, usually clean-cut young men and women, wore crisp uniforms, enjoyed good pay and flight benefits, and received special training in customer service, charm, and etiquette. Passengers at the time were generally from the middle and upper classes. Decked out in smart outfits and wearing the latest hairstyles, they came to airports to see and be seen. Those traveling for pleasure were typically accompanied by large entourages of family and friends who saw them off and greeted them on their return as if they were the most important people in the world. No wonder, then, that Jane and Ole’s courtship felt so magical, especially against this glamorous backdrop. Ole Olson was everything Jane had dreamed of: funny and bright, kind, attentive, and romantic. She could not believe the similarities between him and her father. Like Phil McCormick, Ole was fair-skinned and fair-haired and was from Minnesota. To top it off, he was a freight agent (and later supervisor of ramp services) for TWA, just as Phil had been a freight agent for the railroad. When asked years later about those days, Ole recalled that Jane was the most beautiful woman he had ever seen. He loved her lilting laugh, the way she looked up at him through her clear blue eyes and long dark eyelashes, and the graceful way she moved through a room. He teased her about being sentimental, but he loved her for it, all the same. It gradually became clear to Benita and Phil that their little girl was falling in love with Ole Olson. As she began spending more time with him and less time with her parents, they reluctantly had to admit that they were no longer at the center of their daughter’s life. Sometimes love is about letting go. As much as they understood that, Phil and Benita also realized they would have to find something else to fill their new-found time. So just months after arriving in California, they closed up the apartment and obtained two one-way TWA airline passes to Barcelona, Spain, to begin the next phase of their lives.